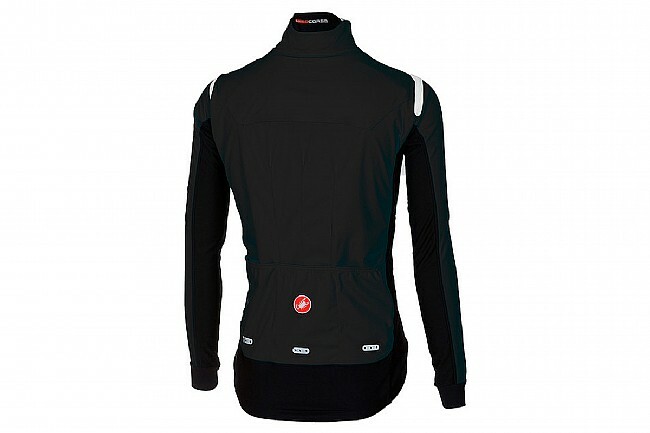 The Alpha ROS Jacket features a double layer design. 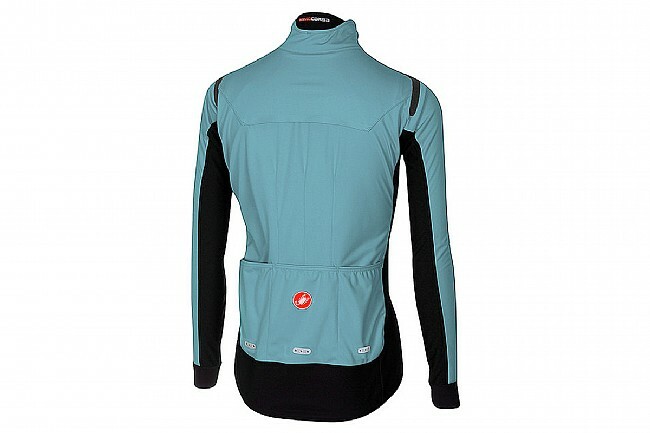 The outer layer features DWR-treated Gore® Windstopper® fabric - totally windproof yet breathable and water resistant. 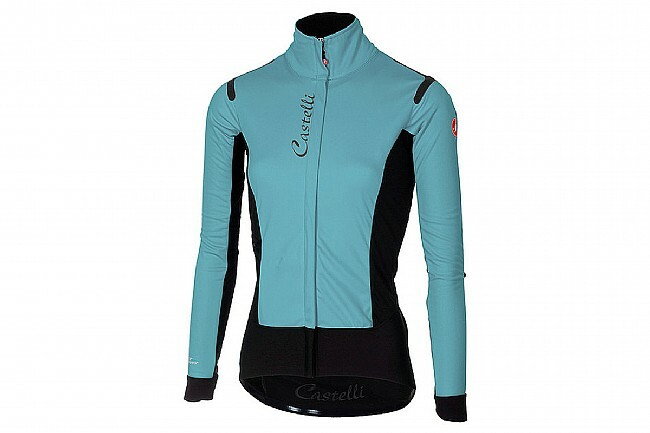 The inner layer is made from a soft, insulating fabric that is comfortable against the skin and warm. To achieve the highest level of waterproofness possible without compromising comfort and usability, Castelli substantially reduced seaming, strategically placing them where they’re less vulnerable to water, and finally, fortified the seams by double stitching and sealing. A partially covered waterproof YKK® Vislon® zipper helps provide another line of defense against the elements. For a cozy and close, but non-constricting fit, the Alpha ROS Jacket features a raw-edge waist that lays flat yet moves with the body. Raw-edge cuffs stay flush against the wrists to seamlessly converge with gloves. Anatomic patterning combined with supple fabrics ensure a comfortably snug fit for a wider range of body types. Windproof, breathable Gore® Windstopper® 150 fabric. Minimal seaming & seam sealing. Easy-slide, partially covered waterproof YKK® Vislon® zip. Designed to comfortably fit a wide range of body types.